As spring unfolds across the Southwest, we begin to spend our longer, warmer days seeking the sunshine we missed all winter long. Today, our outdoor adventure found us along our beloved bosque. Although spring hasn't quite caught up to the trees, which are still mostly leafless, the area we found ourselves in was not without color and intrigue. Albuquerque is blessed with a 16 mile multi-use trail that runs along the Rio Grande. 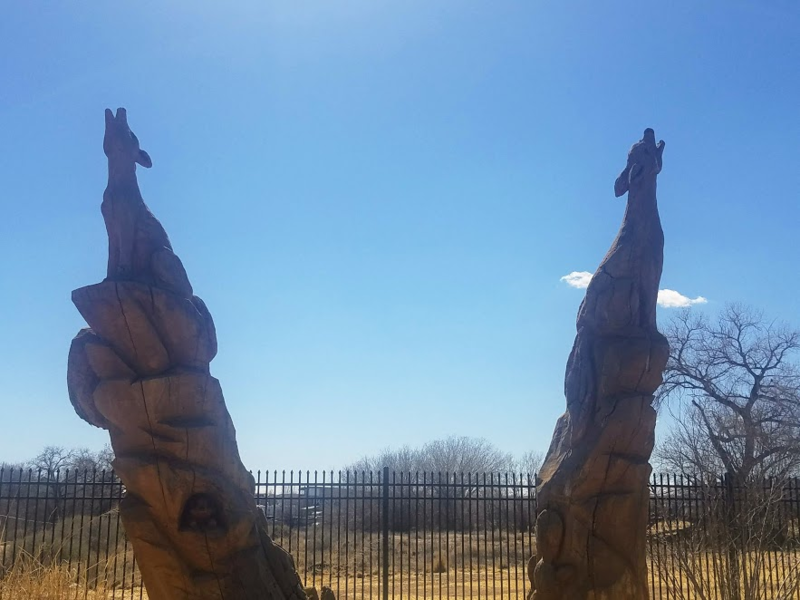 Perfect for biking, horseriding, walking, picnicking, and just enjoying nature, Paseo del Bosque is a Burqueño's natural paradise in the middle of the bustling city. 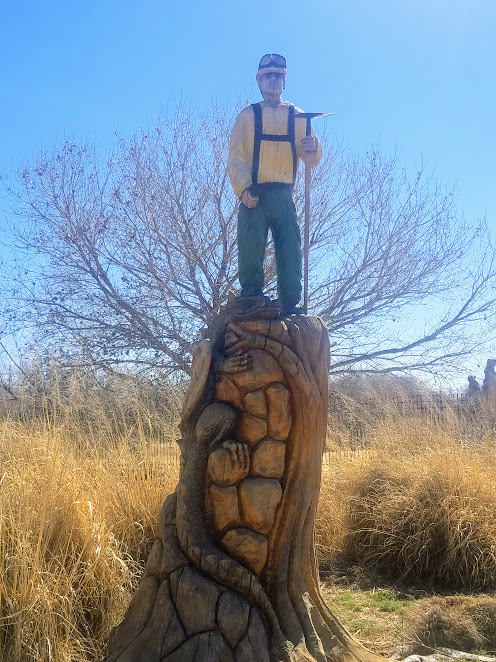 At the Pueblo Montaño Trailhead of Paseo del Bosque we found this amazingly crafted sculpture garden. 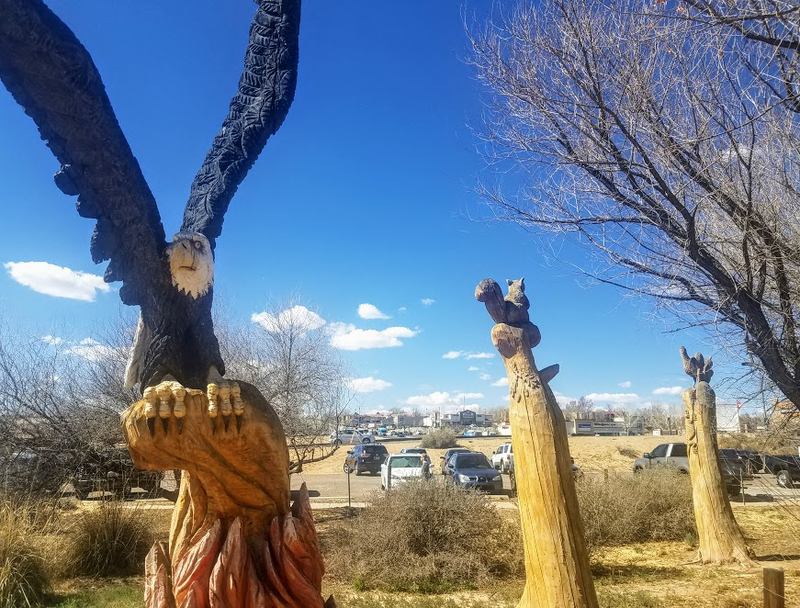 What makes these sculptures so unique is that they were carved by a chainsaw into the existing trees. Not long ago, these sculptures were thriving cottonwood trees. 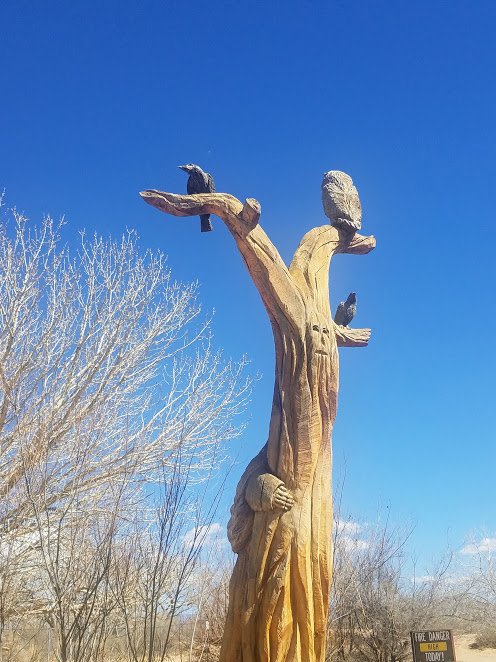 But when a wildfire ravaged the bosque in 2003, a firefighter/artist Mark Chavez reinvigorated the charred tree stumps into three dimensional artwork. The sculptures are mostly odes to the wildlife found in the area. However there is one that depicts La Llorona, a local urban legend, and one that shows a firefighter with his foot firmly on top of a dragon's head. The dragon in this depiction is representative of fire, which this firefighter has subdued. Some of the sculptures are so intricate, it's hard to imagine they were carved by something as cumbersome as a chainsaw. If you should ever venture to the area to view the sculptures, it's important to stay on the provided trail. Much of the area is roped off to prevent wayward feet from trampling redevolping flora that was damaged in the fire sixteen years ago.